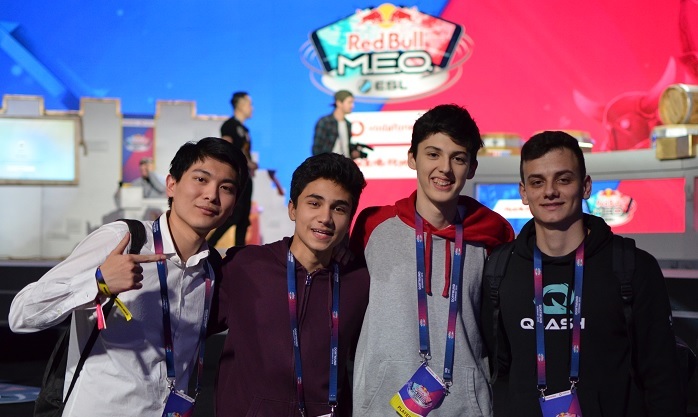 Ever since winning the Maltese Red Bull MEO Clash Royale Finals and the Qlash Clash Royale Tournament hosted at the Malta Esports Festival 2018, GMR Entertainment has been keeping a close eye on the champion; Angelo anglu Vella. 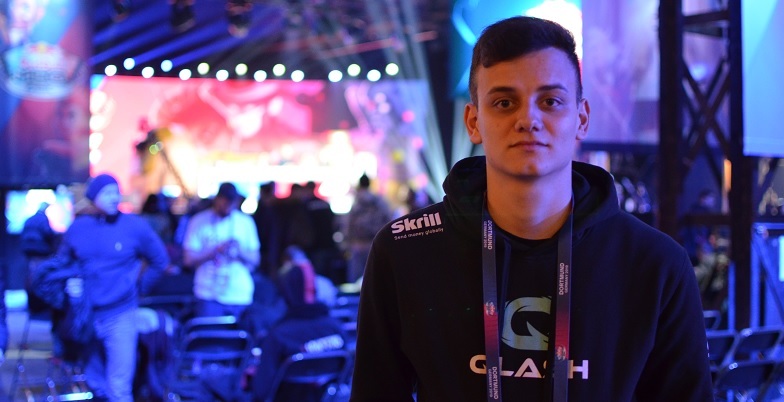 Such attention led up to the fact after he had qualified for the international Red Bull MEO Clash Royale Finals - where he would represent Malta in an international competition, stacking ambassadors from each country across the mobile title of Clash Royale. Apart from the event itself acting as quite the breakthrough for mobile-gaming in general, it was an opportunity for Angelo to show his stock. The international event, involving a total of 36 countries, had been building up ever since September of last year, with qualifiers gradually concluding in each respective country within every continent. With the event including the other titles of 'Arena of Valor' and 'Brawl Stars', the venue was certainly buzzing with excitement, but also tension - $50,000 were on the line on the whole. This mentality was embraced immediately, and it seems that Angelo anglu Vella found himself in quite a tough spot within Group D. Competing against players from America, Mexico, Turkey, Portugal, Greece, Brazil and Egypt, the Maltese competitor would undoubtedly struggle. Anglu tied points with Greece and Turkey, but due to score difference he was placed 7th out of 8 within groups - ending his tournament there. Nonetheless, we're very proud of Angelo and we encourage him to continue pursuing this notion of competition - you're only 18 and a plethora of future opportunities will arise; keep striving to compete with others and yourself most of all. The rest of the event concluded smoothly with ThunderStruck from UK being crowned as winner, though we will admit that our peak interest was in the performance of our representative Angelo Vella. One interesting fact is one pertaining to cheating - the French player GregEmpire77, as reported by Dotesports, was competing against a German player within the play-offs, when he was accused of communicating to his manager during the game. He pleaded guilty to the accusation, showing off the AirPods he had snuck underneath his headset, through which his coach communicated to him, selling the lie that all was legal. He was quickly disqualified. With this event being a major primary step in mobile gaming and to witness cheating early on - is the accessibility of mobile phones, leading to a higher susceptibility of cheating, going to be a detriment to future mobile esports? To conclude, we'd like to congratulate Angelo for participating, flying out to an international event and gaining the experience which we wish for him to use to push forward in the scene. Also, we've managed to gain further insight into the mobile esports scene - how long will it take before we start seeing major and headlining events based on a mobile platform? Following their motto “Open to All! Won by One” Red Bull and ESL will bring one of the world’s largest mobile esports tournaments to Germany. The World Finals of the global tournament series Red Bull M.E.O by ESL (Mobile Esports Open) will take place from 1-3 February 2019 in the Warsteiner Music Hall in Dortmund. The German offline finals of Red Bull M.E.O. will take place on 1st of February. The winners will directly qualify for the World Finals, taking place on 2nd-3rd February, where they will face the best mobile gamers from 36 nations. Apart from Germany, mobile gamers from France, Japan, USA, Brazil, South Africa and many more will meet on stage. In Germany, they will fight for top positions in the mobile hits Clash Royale and Arena of Valor, as well as the brand-new arena shooter Brawl Stars. However, Red Bull M.E.O. by ESL is not an ordinary tournament: it’s open to all ambitious mobile gamers! Matches in the strategy game Clash Royale will be fought between individual players, while the MOBA hit Arena of Valor will set teams of five against each other. 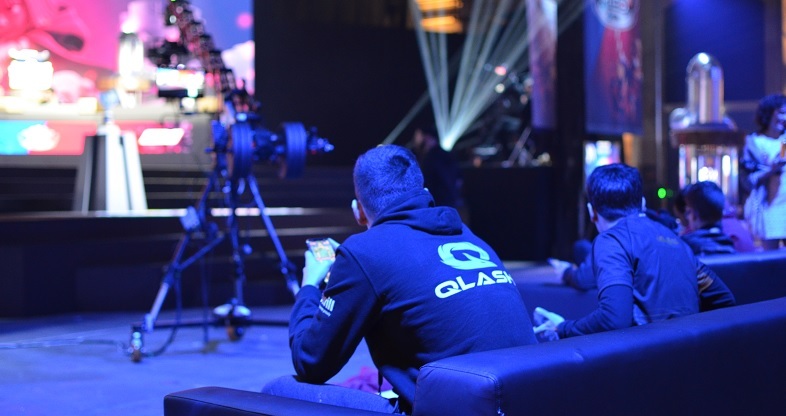 Worldwide qualifiers for both titles began in September and ran throughout December. German gamers will also get their chance at a place in the finals: by taking part in online preliminaries, they can qualify for the German Offline Final on 1st of February. Three more qualifiers will take place on the official ESL tournament page with the last one to be held on the 25th of January. Meanwhile, a total of 22 international Brawl Stars teams of influencers and gamers battled it out on the 6th of January to qualify for the World Finals in Germany. Eight teams fought their way through the different game modes and earned a spot for the World Finals with American influencer ‘Ash’ winning the qualifier competition. Tickets for the event are free and limited so make sure to get a seat as soon as possible. As well as two days of pure mobile gaming, there will be many more activities in the arena to make your weekend a true success — including a Brawl Stars free-to-play area and some activities at the Media Markt and Vodafone booths. In addition to that there will be an aftershow party for all visitors on Saturday directly after the live show. Up to 1,000 live visitors are expected for the World Finals of Red Bull M.E.O. in Dortmund. Additionally, the tournament will be broadcast live in English and other languages via livestream. More information on Red Bull M.E.O. by ESL is available on the official homepage.